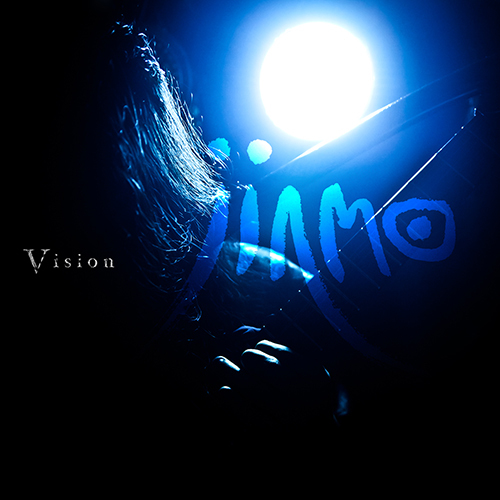 JINMO's 117th solo album, "Vision". The vision in the midst of his death on 14th April 2012. As you already know, after the show "Life 120414" on Saturday 14th April, JINMO found serious abnormalities on his heart and he had transported to Saint Luke's International Hospital in an ambulance as soon as audiences left the venue. He was diagnosed with acute myocardial infarction and received emergency surgery. In the midst of this performance, the part of JINMO's heart has cut off blood flow and began to die. It is literally deadly explosive performance, without any metaphors. The sound in the midst of his death. The posthumous work of the former JINMO, it had released as the album "Life 120414" on 30th April 2012. However it had recorded just 10 minutes 41 seconds in the show. It is the documentary on several ten minutes before his death. This is live documentary of the show on Saturday 14th April 2012, and is the album which has rearranged 53 fragments extracted from other parts that were not included on the album "Life 120414". consciousness lost continuity and being suspended and his time sense also interrupted. And he recognized himself in the place neither earthly nor unearthly, such as "no border between the living and the dead". Cover art and cover picture had done by the photographer Ms.Mona Ave.
Of course, it is the appearance of JINMO in the performance at the time of the day, April 14th 2012, it is the portrait of the deceased the former JINMO. This album "Life 120414" would be the must listen album for all JINMO manias. Open your mind to empathize with the sound in the midst of his death, to see the "Vision" what JINMO saw in the midst of his death.